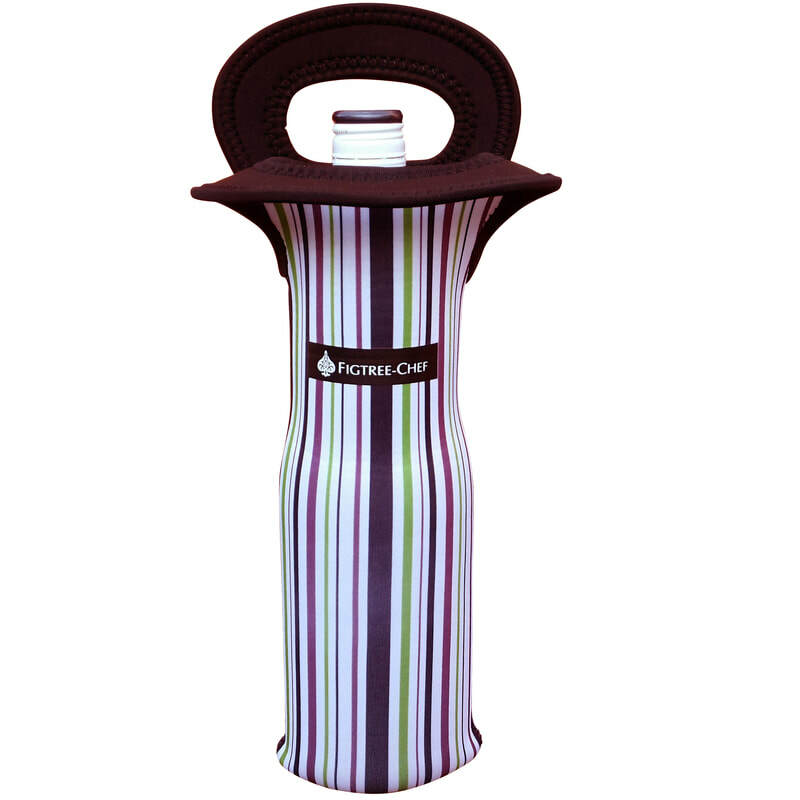 Why buy Figtree-Chef Single Wine Carriers? We like our white wine chilled and expect that you do too! 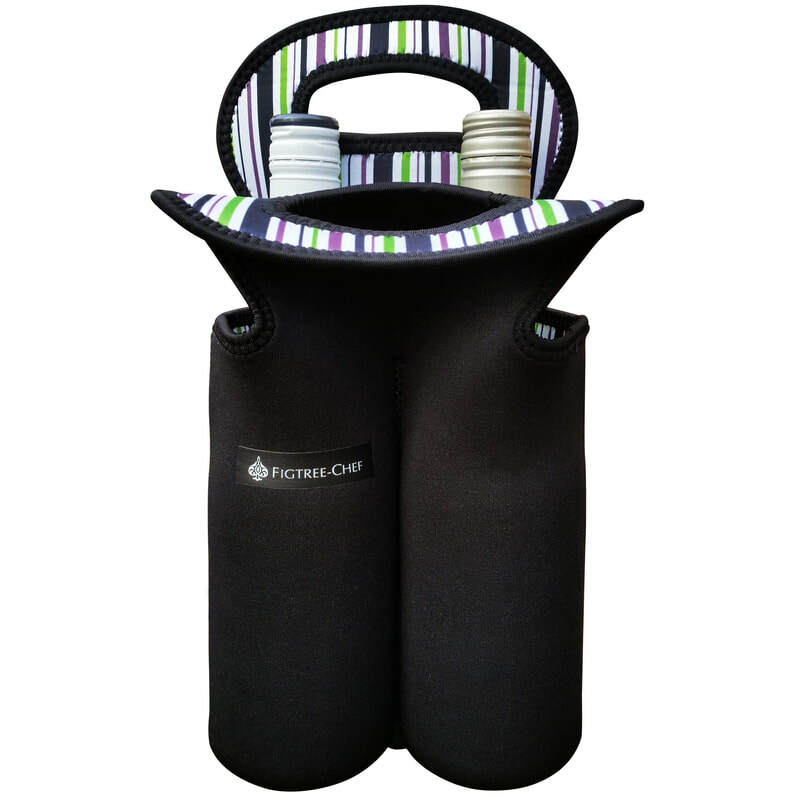 We wanted to make sure our product would live up to its promise so we chose to manufacture our totes from a thicker 4mm neoprene to be able to guarantee with confidence that your wine will stay cool for up to 4 hours. It's the best thickness to guarantee both softness and thermal effectiveness. 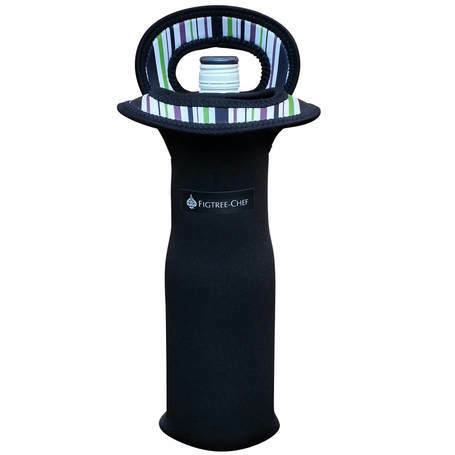 They is great for BYOB restaurants, for taking in the car or other transport since they help protect glass bottles from breakage if they clink together and they are simply perfect for outdoor parties or day trips when you know you don't have access to a fridge. We all take a bottle when invited to a dinner party or evening at a friend's house. 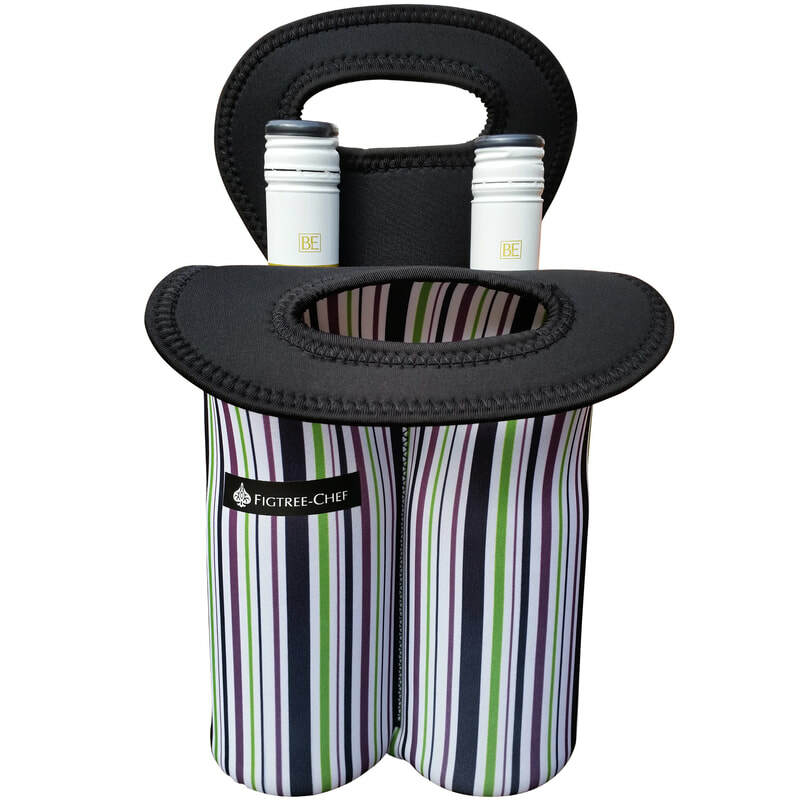 These wine totes make it a little bit more special as they are something to use again and again long after the bottle itself has gone! They are easy to clean too. just throw them in the washing machine on a cool wash and leave to drip dry.